Now that Verizon has introduced its XLTE service, the nation's largest carrier has put together an infographic containing a number of interesting stats. For example, the XLTE pipeline doubles the capacity of Verizon's original LTE network, assuming that the carrier meets its targeted upload and download speeds. Not all of Verizon's devices are compatible with the XLTE network, but Big Red does have 28 4G LTE devices that support XLTE. That means they support both AWS and the 700MHz spectrum used for the enhanced service. According to Verizon, there are more than 250 XLTE markets in the U.S.
Those able to access the XLTE service will see faster peak data speeds. And during times when Verizon's regular LTE network is congested with users, the XLTE pipeline has the necessary capacity. According to PC Magazine, download speeds as high as 80Mbps have been achieved on the XLTE network. In case you're wondering, most of Verizon's LTE signals travel over 10+10 MHz of 700 MHz Upper C Block spectrum. XLTE service is basically LTE delivered over Verizon's Band 4 LTE AWS spectrum. In every major city east of the Mississippi, the carrier is using 20MHz + 20 MHz AWS spectrum, resulting in faster data speeds in those markets. Verizon's website lists 27 of the 28 devices that support XLTE. These models include the Apple iPhone 5s, LG G2, Samsung Galaxy S5, Nokia Lumia Icon, HTC One (M8), Motorola DROID Mini, Apple iPhone 5c, Motorola DROID MAXX, Samsung Galaxy S4, Motorola Moto X, LG Lucid 3, Samsung Galaxy Note 3, Samsung ATIV SE, Samsung Galaxy S4 mini, BlackBerry Z30, BlackBerry Q10, LG G Pad 8.3, Apple iPad Air, Apple iPad mini with Retina display, Samsung Galaxy Tab 2 (10.1), Samsung Galaxy NotePRO 12.2, Samsung Galaxy Note 10.1 (2014 Edition), Verizon Jetpack 4G LTE Mobile Hotspot 5510L, Verizon Jetpack 4G LTE Mobile Hotspot MHS 291L and Verizon 4G LTE USB Modem UML295. 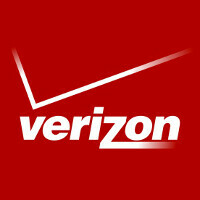 You can check out Verizon's infographic by clicking on the slideshow below. I need to do a speedtest in Chicago. Those cities easy of Mississippi must be burning through that data pretty quickly. Papa', I can tell you, it's definitely faster. I bought a Galaxy S4 over the w/e because my Note 2 was not XLTE compatible (and, no sense in buying a Note 3 at close to full retail if I'm getting the Note 4 in 4 months); it's kinda' like when we switched from 3G to 4G LTE. And, it seems to be working better with PhoneArena's buggy flash content and new (less than perfect) interface. I bet Verizon wasn't too happy with T-Mobile being rated the fastest LTE network in the US. So they came up with XLTE which should bump up Verizon's average data speeds enough for Verizon to be the new winner. That was paid for by Big Magenta. They forgot one important stat 0 The amount of extra data you actually can use. Until Verizon ditches the foolish data caps, they won't be taken seriously. They should go back to the old system of throttling speeds and cancelling service of abusers. I actually don't mind reasonable data caps and reasonable line access fees for sharing that data. But I am sorry, 2 gb isn't even remotely reasonable considering in 2008 when I first started my "unlimited" plan they considered 5 gb reasonable on 3G data. So now you have faster speeds made for greater consumption and cut that in less than half? Give me a break. A reasonable share plan would *start* at 10GB. A reasonable line access fee would be 10 dollars, the same as their line access fees always were. Not the 40 dollar BS that is more than what an actual data plan costs. I mean who actually sits down and looks at this *CRAP* and says hmmmmm, this looks like a great deal? 2 lines with 1500 minutes and 10 gb of data *should* be about 100-120, not 160-200. 5 gb per line minimum. Now, if one is using 30-100 gb or more a month, sure, that's plain excessive. I understand people like that paying more, but not regular users of many years of service with the carrier. Exactly why I left them for Tmobile. While 10 gb may be reasonable to you, 90% of the customers I deal with use between 1-2gb. I do agree that data is expensive if you use 10 gb a month and I think the monthly cost should be lower but I do not feel that people that use 1 gb of data should pay the same as someone that uses 10. Typical trained corporate Kool-aid answer. It's like passing the blame to the power-user to deflect the real answer to the question of the average customer of why a data "cap" exists. The truth is plain and simple: Verizon greed. They can't wait until you jump your "cap". At $15 a GB, that's no joke. The only joke is the corporate chimpanzees hard selling on all the wonderful things you can do with data. Data, data, data. Oh, but you have to use WiFi most of the time unless you want to get raped. Pointless. Exactly. VZW semi admitted as much in an investor call. They had to have a way to drive more revenue into the future. Which is fine, but lets call it what it is. Not that BS "oh, it's the power users that only use that much". Everyone that isn't "elderly" pretty much knows that 2gb of data is unreasonable. People don't realize how much more data they consume over wifi, if you use it. My regular "non-wifi" usage is between 3-5gb a month, and my wifi usage is about 5 a month. I stream a lot of music at work, but other that, I don't post "videos", or watch videos, I generally use my phone to read feedly and adjust my "smart devices" at home, or check the weather/traffic on my way out for work. So I'm sorry, I don't buy it. Again, why is everyone so damn bitter!!!? It's no ones fault but your own for not jumping on Unlimited Data with Verizon when they initially offered it. Jesus, Josh and Mary, you had until July 7th of 2011! But noooooooo, back then you had an iPhone that only worked on Wi-Fi or just simply thought Smartphones were too big; well, you've no one to blame but your bloody self. Don't blame Verizon; they offered it, you weren't interested!! I'm on unlimited data, but I am not naive enough to think they are going to let me keep it forever. The day they force me off of it is the day I will tell them where to shove it. FWIW, I have, as stated before, had unlimited data since 2007/2008. Don't remember the exact date, but around that time. Just another FWIW, during my time with VZW I have spent, in service alone, about 20k, so excuse me if I don't necessarily feel my ROI is high enough. This is over about 7-8ish years. During that time, I have spent more on cell service than I have a car. (current car 10k, previous 6k) Sure, this is by choice, I can afford a more expensive car, but I choose not to buy one. So when I have spent more for data services than I have for transportation, I have a right to be slightly bitter. One is a necessity, the other is a grit and bear it choice. I say this to demonstrate the role of wireless services. They are on a shorter leash than they may think. Had unlimited data, couldn't stomach the outright device purchases or the $120 bill for a single line anymore. $45/month now on Aio/New Cricket, unlimited everything. Even with a soft-cap after 2.5GB of high speed, I'm 100x more satisfied than I was on Verizon. I'm going by what Verizon used to consider "fair usage". I usually use about 4 a month. My fiancé, who isn't 100 years old, and never watches any kind of media on her phone, regularly uses 2 because she will never use wifi, which I don't blame her. What's the point in paying for a data connection if you always have to be worried about searching for wifi? The 2gb number was created to affect heavy and light users alike. You maybe an exception to that, but generally speaking, if you aren't 100 and aren't always looking for wifi, you will burn through 2 gb a month easily without watching a single YouTube video or the like. She uses her phone primarily for news consumption, emails, texts and some times music. Now, if someone that doesn't watch a single video can regularly hit 2gb with about 2 hours of screen on time a day, you tell me that anyone else that isn't your grandmother can't. Fair use, as determined in my 2008 unlimited data plan contract stated that 5gb was reasonable. Now that was a completely different time where data wasn't near as easy to consume, now that data has become so much easier to consume the new "fair use" is less than half of what it was with 8+ year older technology? Think about this. Your fiancé is using her phone to send nudies over snapchat to her lover. Don't be so naïve! 7 Phones on a 8GB plan. No one uses Wifi and we never go over. All 4G in XLTE markets with half the devices being capable. Still expensive? Yes, But at least I don't have to be one of those "other guys" that have unlimited data and are always bitching about having no service. Bitching about the amount of data you get is second to only those "other guys" So it's your choice. Who do you want to be? Once you figure that out then please do us all a favor and shut it. I come here to learn about XLTE. Not to read you complaining to people that don't give a flying f*ck about your concerns. Good day! so 4g lte is old school now? 2X: The minimum increase in speed with which you can burn through your paltry, overpriced data cap of 4gb. At twice the speed, Verizon would still be slower than my LTE speeds with T-Mobile here in Tucson. Of course, I don't leave town much, so coverage isn't an issue with me, but might be for others. I would like to have my actual Droid Ultra be in the loop for the XLTE service since it came out with the Maxx and other devices on the list. I don't see any point in leaving out some of the droids that came out with the others.